We manufacture Centrifuges Equipment that find a wide application in various industries like oil, textile, pharmaceutical etc. 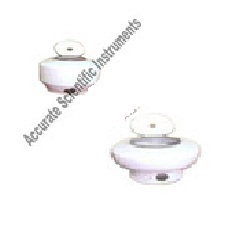 Our range encompasses Micro Centrifuges, Medico Centrifuges, Doctor Centrifuges, Clinical CentrifugeS, Centrifuge Medical and General Purpose Centrifuges. These centrifuges have robust construction and specially designed provide smooth and trouble free operation. Our range of centrifuges can be customized to meet the requirement of our clients. We offer a wide array of Doctor Centrifuges, that are fabricated using superior quality material procured from reliable vendors. These products are used in biological laboratories and helps in practical works. Moreover, our range of Centrifuges are easier to use and are best acknowledge for durability and long lasting features. 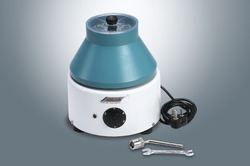 Moreover, we offer these Centrifuges at industries leading prices. Medico Centrifuges unit is satisfying general purpose use in pathology Labs, small Hospitals, Colleges and school. The unit has 5 step speed controller and removable swing out rotor head. The unit is supplied with autoclavable polypropylene tube carriers and glass tubes. We manufacture Centrifuges Equipment that find a wide application in various industries like oil, textile, pharmaceutical etc. 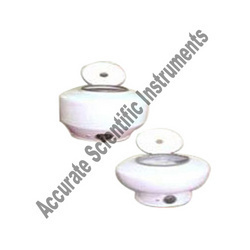 Our range encompasses Micro Centrifuges, Medico Centrifuges, Doctor Centrifuges, Clinical CentrifugeS, Centrifuge Medical and General Purpose Centrifuges. These centrifuges have robust construction and specially designed provide smooth and trouble free operation. Our range of centrifuges can be customized to meet the requirement of our clients. The range of Multi Purpose Centrifuges Medical and Institutional laboratories can expand better performance than ever before available with a centrifuge of this type with Different choice of rotor heads. This unit is useful in resourceful. The range of centrifuge controller circuit which consists of two separate portions, working parallel. First one is TIMER, which controls relay operation, in turn motor on/off. Second one is RPM meter, which also controls Lid lock solenoid. The TIMER consists of 2 digit timer, which 1 to 99 minute. In our A-5 is especially design better performance we set the timer will be set on adjusted RPM. A-5C range of laboratory General Purpose Centrifuges is used for the routine work in medical and industrial laboratory. 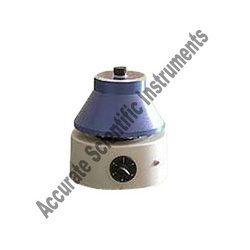 Laboratory centrifuge A-5 are used to separate particles from a solution according to their size, shape, density, viscosity of medium and rotor seed. A-5C Centrifuge with 0 to 60 min digital timer with step less speed controller. Special features include in A-5C is safety Lid Lock to prevent rover for opening during in motion. A-5C centrifuge body is constructed by mild steel with high quality power coated finish. This type of machine is accommodating different types and capacities of rotor. 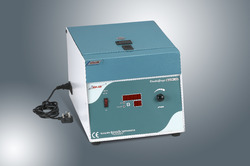 Clinical Centrifuges unit is satisfying general purpose use in pathology Labs, small Hospitals, Colleges and school. The unit has 5 step speed controller and attached and non removable angle rotor head with see through acrylic cover (LID). The unit is supplied with autoclave able polypropylene tube. 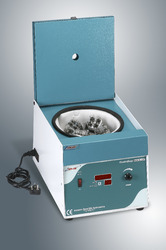 Looking for Centrifuges Equipment ?